Around the holidays sometimes the only thing I want to do is curl up with a good book or favorite TV show and a glass of wine or a delicious cocktail. It doesn’t always take a ton of time and energy to make yummy-tasting cocktails that can be made for small groups of people or large parties by doubling or tripling to keep a larger party satisfied all evening long. Perfect for just you and a friend, a significant other, or a cocktail or dinner party. This is a delicious and colorful treat that is sure to make anyone’s mouth water. One of the keys to this recipe is to chill the martini glasses. Create a simple sugar syrup and combine it with vodka, fresh lime juice, pomegranate juice, and Cointreau. Mix them with ice and stir until they are well chilled. Strain them into the chilled glasses and add a fresh lime slice to garnish. 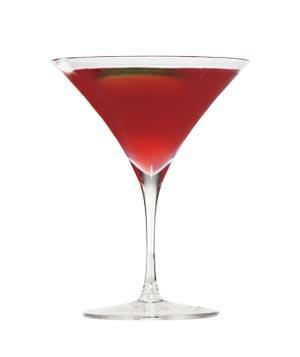 This fruity cocktail is perfect for the holidays because of it’s dark, rich crimson color, particularly against a frosted glass. This recipe is beyond easy to prepare—it only requires the champagne and dried cranberries. 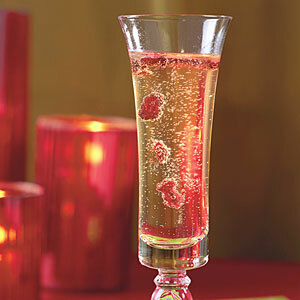 Grab a champagne flute, drop in six dried cranberries (or more or less, depending on what you like), pour in 3/4 cup of chilled white champagne (or sparkling wine if you prefer). The berries will begin to float to the surface. Remember, you don’t need super expensive champagne to make this holiday drink delicious. Cosmos are always a fabulous idea for the holidays because of their stunning colors. This Martha Stewart recipe serves ten, so scale it down for fewer people or increase the amounts for a larger party. 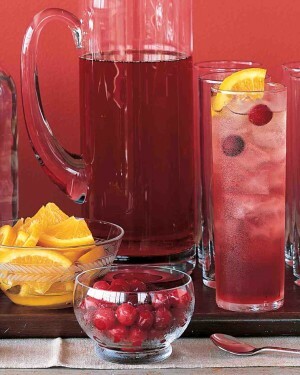 In a large pitcher, add ice, a bottle of vodka, 5 ounces of Cointreau, 10 ounces of cranberry-juice cocktail, and 3 tables of freshly squeezed lime juices. Stir the contents and strain the mixture into glasses, discarding the ice. Garnish the drink with fresh cranberries. This divine cocktail is absolutely wonderful for the holidays, perfect for a dinner party or even a casual evening in. This ginger snap cocktail combines ginger beer, ginger juice, dark rum, cinnamon schnapps, ground cloves, an egg white, cinnamon stick, a crystallized ginger cube, and a finely ground gingerbread cookie, for a perfect and spicy drink—great for the colder weather. 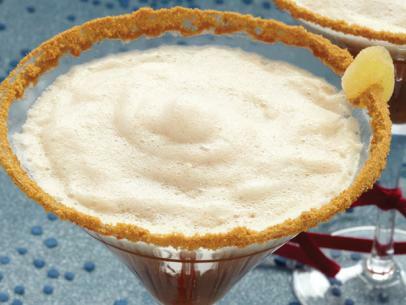 Grab a martini glass and coat the rim in ginger beer, then cover it in the ground cookie. Put ice into a cocktail shaker, pour in ginger juice, cinnamon schnapps, and dark rum. Add the ground cloves and the egg white and shake for at least 20 or 30 seconds (until the mixture is frothy). Add the rest of the ginger beer and stir before pouring into the martini glass. Garnish with a cinnamon stick, the ginger cube, and sprinkle finely with the gingerbread cookie. This cocktail does wonders for those who love a little spice in their life. 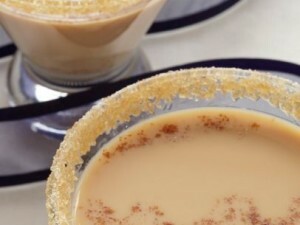 This candy-flavored cocktail combines Bailey’s Irish Cream, butterscotch liqueur, Jagermeister, half-and-half, and cinnamon schnapps. In a cocktail shaker, combine ice, all of the above ingredients, and some lemon zest. Shake and set aside. 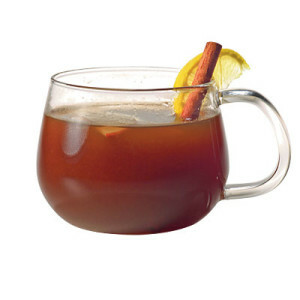 Dust the edge of the rim with raw sugar, strain the drink into the glass, and garnish with a pinch of cinnamon. Wassail is the perfect holiday drink because it is like apple cider. This recipe kicks it up a notch by adding ale and port to make it an adult beverage. You can nix the booze for a great apple wassail drink. This drink takes a long time to cook over heat (approximately three hours), so prepare it with plenty of time to spare. In a five quart slow cooker, combine ale, apple cider, port, lemonade, brown sugar, diced apples, whole allspice, cinnamon sticks, whole cloves, and cardamom. Once all is cooked, ladle into large mugs and enjoy. 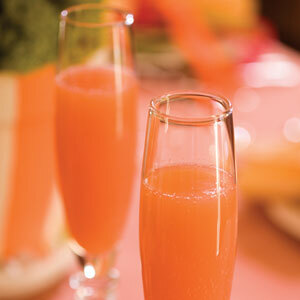 This recipe is not only a gorgeous color, but the perfect drink for Sunday brunch. It combines orange juice (not from concentrate), chilled pineapple juice, grenadine, and chilled white champagne (or sparkling wine). Stir together the orange juice, pineapple juice, and grenadine. Pour equal parts orange-juice mixture and champagne into champagne flutes. Remember to please drink responsibly. Enjoy your holiday cocktails!